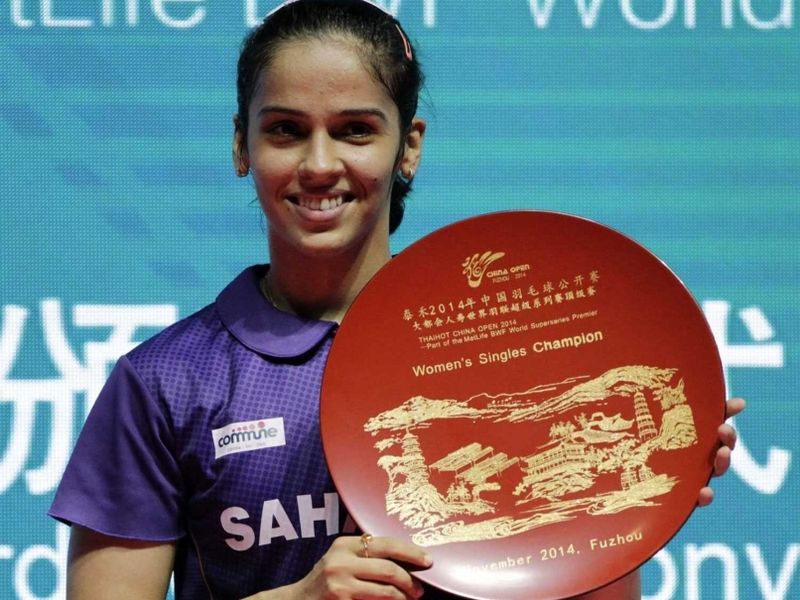 November 16: Saina Nehwal had won the women’s title by beating Japan’s Akane Yamaguchi in straight sets in China Open Titles in Fuzhou (China) by overcoming Japanese Akane Yamaguchi 21-12, 22-20 in 42 minutes at the Haixia Olympic Sport Center today. “It was Saina’s hard work which helped her to win this title” said Vimal Kumar, who has been coaching Saina prior to the Asian Games. 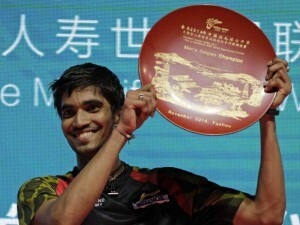 November 16: In an another match, Indian Badminton Star Kidambi Srikanth clinched his maiden Super Series title after defeating two-time Olympic champion Lin Dan of China in the men’s singles events of China Open Super Series Premier today. 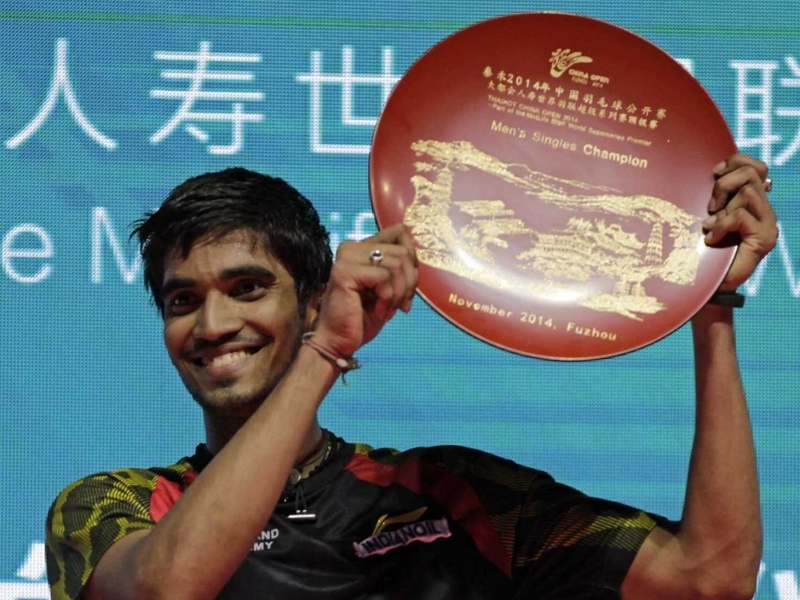 Srikanth, who won the Thailand Open Grand Prix Gold last year, showed nerves of steel to produce a dominating performance which helped him see off five-time world champion Lin 21-19 21-17 in the men’s singles final which lasted 46 minutes.